Craft and manual. 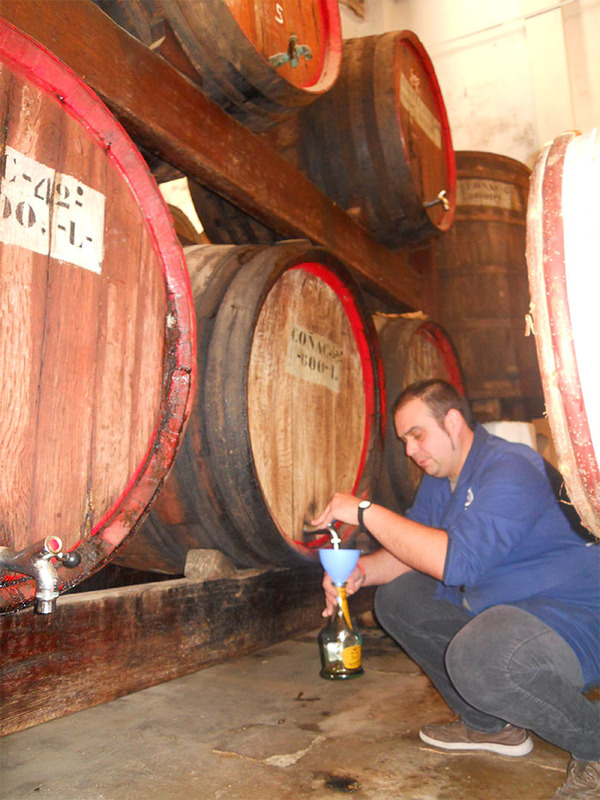 That’s the work we do every day in Distilleries Plà, so much so that in our facilities there are only two machines. It’s 8:00 in the morning and start the day in Destilerías Plà. Jose, current manager and representative of the 4th generation Plà load the van for the weekly delivery of some of the villages of Castellón. Helping to load Mario, his right hand and responsible production. A last look at the part of distribution and José begins the course to the neighboring province. Mario meanwhile begins everyday tasks. In the part of orders that are to be developed are three bottles of Brandy Inmejorable, one of Brandy Vell and two of ron for a bar that is close to the destillery and they have to pick up. 50 bottles also full of Temperante gift to give at a wedding. Fill a bottle of Brandy Vell has its mystique. Mario comes to the cellar where lies the stock for more than a century ago with glass bottle in his hand. Open the tap of the barrel and begins to fill. 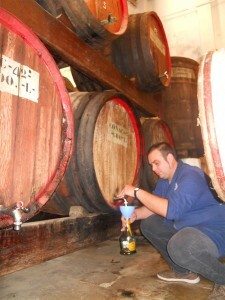 Ready in a minute, cap the bottle and returns to his post to paste by hand of course the Brandy Vell labels. The same procedure continues with Brandy Inmejorable and Ron. The bottles being given away in the wedding take a little more work. They are 50 Temperante bottles of 125 cl and must fill them one by one. Once done, cover and scourge as you can see in the video. While all this happens through the hands of Mario, also it serves in the shop to all who come to buy products. A few meters in the office, José Mateu Pla, the Pla 3th generation of patient waiting time quality control Brandy Vell. A protocol that is followed every day. Mario looks at the clock; 11:45. There is time to advance work tomorrow. Do not think more. It begins to heat boiler for Coffee Liqueur. Mix ingredients and set aside. Filter and again the mixture stand. In one day you will be ready for bottling. About 15:00 Jose becomes cast. The afternoon in Destilerías Plà is for administrative work and attention in the store but that’s another story.